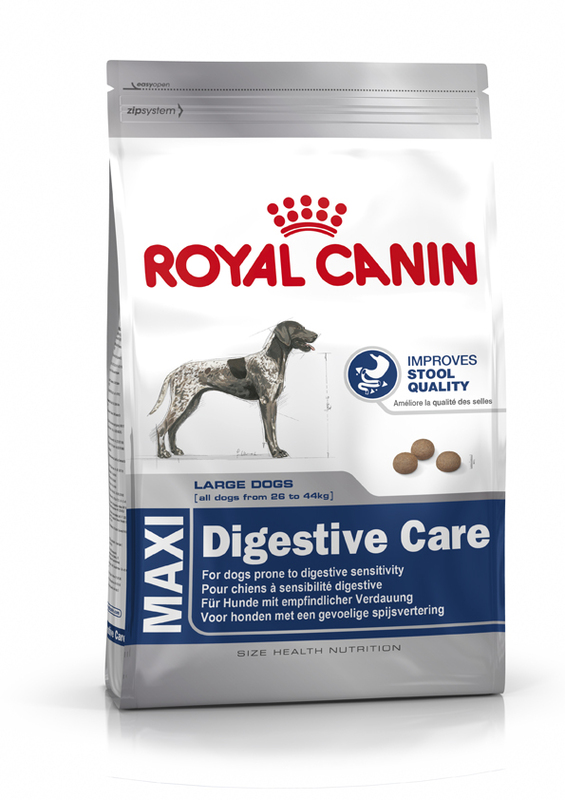 Royal Canin Maxi Digestive Care provides maximum digestive tolerance, using rice (the most digestible cereal) as a single carbohydrate source. Also includes psyllium which helps facilitate intestinal transit. Borage oil helps produce a beautiful glossy coat. 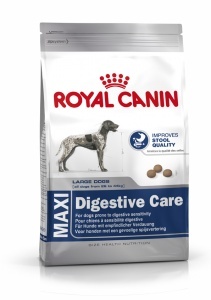 High levels of glucosamine and chondroitin in Royal Canin Maxi Digestive Care help support joint health. Helps satisfy fussy appetites with a exclusive formulation. Natural flavourings and perfect preservation.